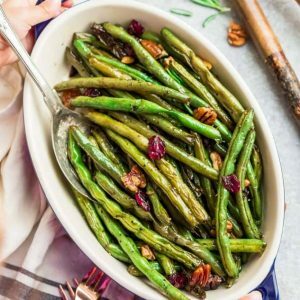 Roasted Green Beans with garlic and balsamic is the perfect simple recipe to enjoy fresh green beans. Fancy enough for a holiday meal, and easy enough for a weeknight side dish! 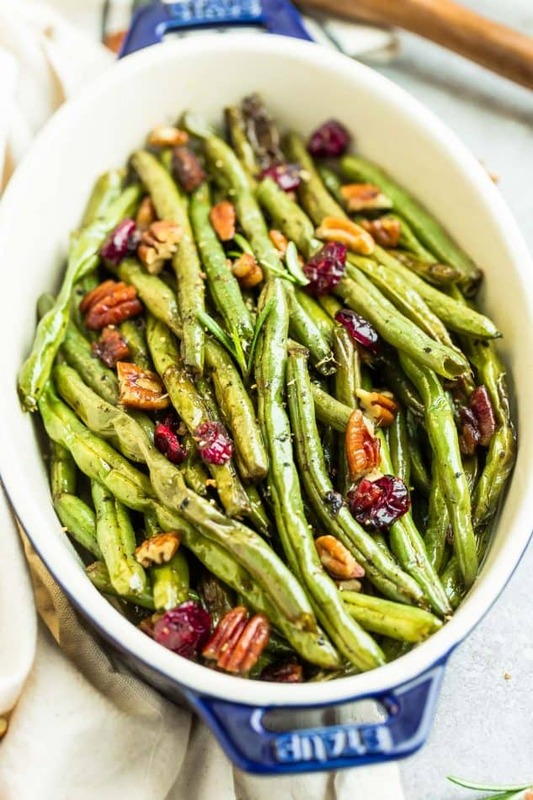 Roasted Green Beans are one of my favorite easy side dishes to make. When I was younger, I was not the biggest fan of green beans. Maybe it was because anytime we had green beans as a side dish for dinner, I would have to help my mom trim off the ends. It always seemed like such a tedious and never-ending task for an antsy twelve-year old. Fast-forward to today, we make them pretty regularly since my kids love them. Especially during the summer when you can get fresh garden green beans. And when you roast them. Oh my goodness….seriously the best way! When done right, roasted green beans come out tender yet crisp and don’t need much except for a little bit of olive oil, some sea salt and lemon pepper. Sometimes, I also love adding a bit of garlic & balsamic vinegar for that extra tang. It’s the easiest way to prepare tasty and healthy green beans, picky kid approved! My kids are not fans of soft, mushy green beans, and by roasting them, they come out consistently perfect every time! 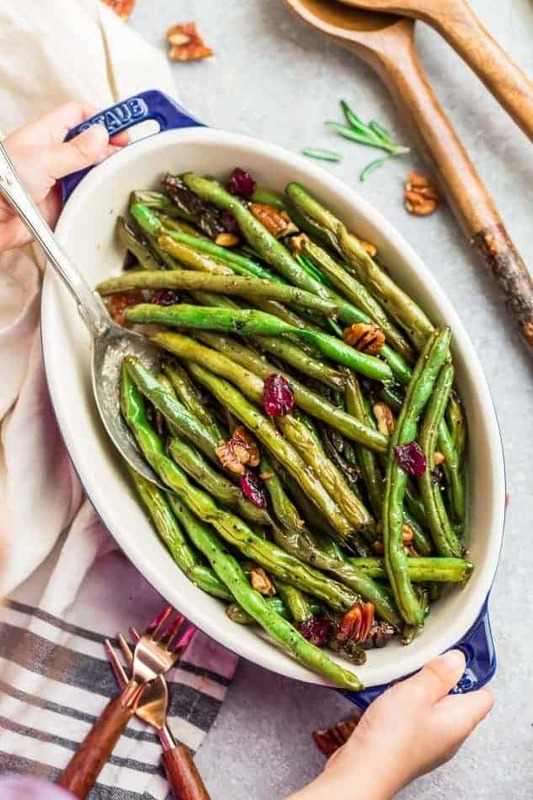 Roasted green beans make a healthy side dish that are also low carb, keto and paleo-friendly. They make a healthier option for Thanksgiving than the traditional creamy green bean casserole with mushrooms. You can also season them however you like. Add some crushed red pepper for a little kick or add some Parmesan. Simple enough for a busy weeknight. Or you can dress it up with some pecans and dried cranberries for a festive touch. And you can double the batch if you plan on making this side dish to add to your holiday table. 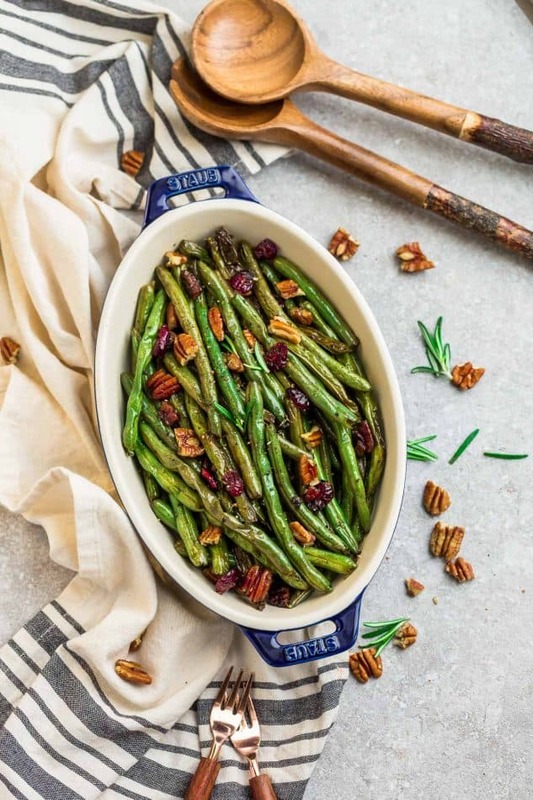 Be sure to use two baking sheets so the green beans are roasted to perfection. Serve them immediately out of the oven for best results. Preheat the oven to 425°F. Line a baking sheet with aluminum or parchment paper for easy clean-up. 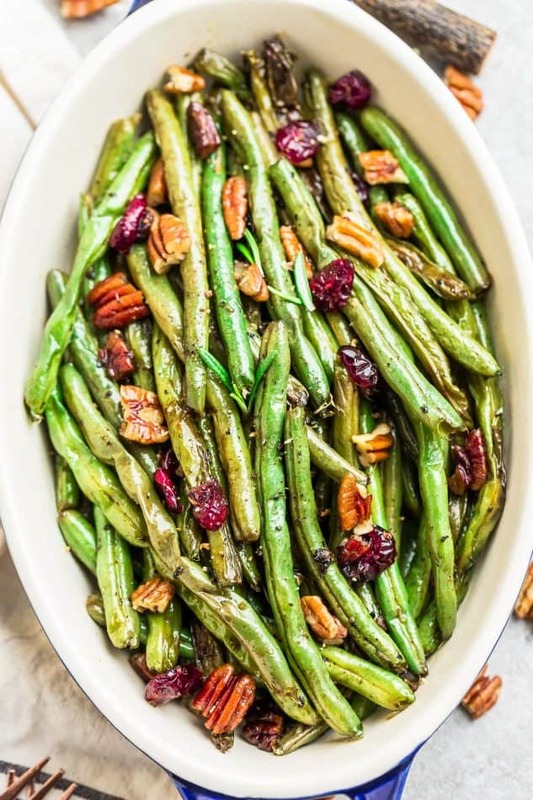 Place green beans evenly on the baking sheet and drizzle with olive oil and balsamic vinegar. Sprinkle with salt, pepper and garlic powder and toss to evenly coat. Spread green beans out evenly on the pan and bake in preheated oven for 15 minutes. Shake and turn the pan halfway through. Remove from the oven and sprinkle with dried cranberries, if desired.